CableFree offers a range of radios for licensed bands including high performance radio with up 867Mbps AC or 300Mbps 2×2 MIMO OFDM radio operating in the 3.3-3.8GHz licensed bands. Versions for 2.4GHz, 4.9GHz, 5GHz and up to 6.4GHz models are optionally available also. Integrated and Connectorised versions are available. The CableFree 3.5GHz range of radios are an extension of our range of 5GHz band radios, with technology to offer connectivity in licensed spectrum bands. 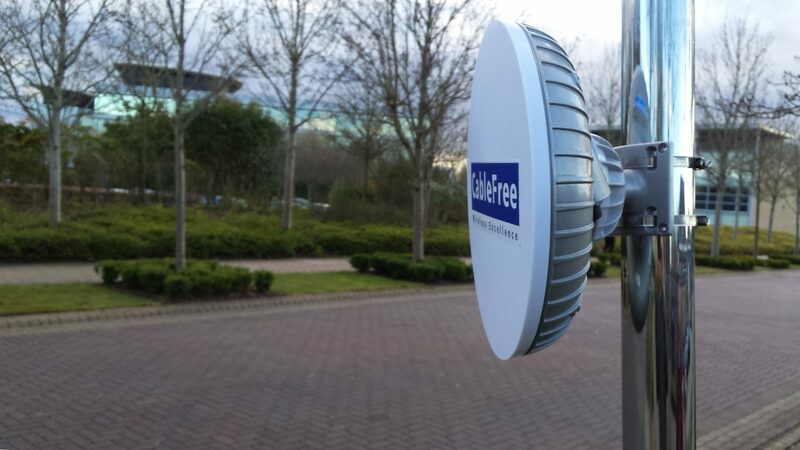 Note that 3.5GHz MIMO OFDM radio technology is different to 3.5GHz LTE (4G) technology, which CableFree also offer in the CableFree LTE product range. MIMO OFDM radios offer symmetric up/down bandwidth, P2P, P2MP and Mesh modes, and lower cost base stations.